NO CITY TAXES & IN DESIRED WINTERGREEN, HOPE & CONLEY SCHOOL DISTRICT. BRICK RANCH HOME WITH 12' X 17.4' HOME OFFICE. HOME HAS BEAUTIFUL HARDWOODS & TILE FLOORS. TWO FULL BATHS. ROOF REPLACED 2011. WELCOMING SUNROOM LEADS TO DECK & BRICK PATIO. 67 ACRE WITH WIRED WORKSHOP WITH SHELTER! 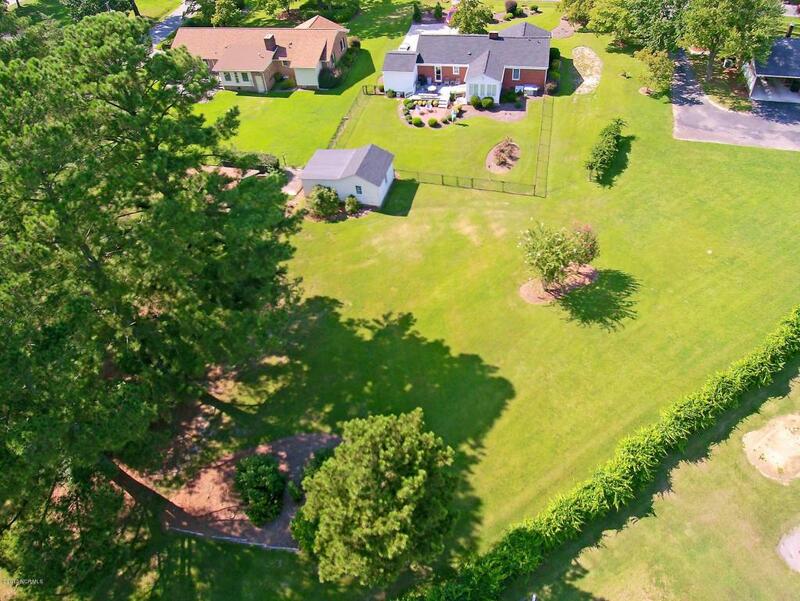 FENCED IN BACKYARD WITH ADDITION LAND & ENTRANCE FROM PINETREE LANE. Listing provided courtesy of Ann Eatmon of Realty World Lever & Russell Real Estate.